Essential oils are amazing! I bought a few scents a couple of years ago for some DIY Christmas gifts. Since then, they have been sitting in a drawer unused. As I contemplated what to write about this week, the oils popped into my head! Essential oils are great to make a room smell good but they also have numerous health benefits. These include relaxing the body, fighting against the cold, getting rid of acne and can even improve digestion. There are literally a million, okay maybe not quite that many, uses for essential oils for your home and your body. I figured this week, I would save some money at the store making some common household items with these essential oils. Killing two birds with one stone = winning for the week. I don’t know about you, but right now I have no skin care routine. One, I’m a pretty lazy person and find it hard to stick to a routine. Two, my skin is sensitive! When I’ve used products on my face in the past, they’ve left my face feeling dry and have made acne worse. My face also gets oily very quickly. This 3 ingredient cleanser has tea tree oil (which helps fight acne), castor oil (this fights acne, hydrates the skin and fights bacteria that can clog pores), and safflower oil (used to thin down the castor oil.). Considering all of the benefits and the fact that using the cleanser takes about 5 minutes to use, I think this is a routine I can get use to. Simply apply oil to face and massage in. Take a damp, hot rag and lay over face until it cools down. Wet it again with hot water and gently wipe. That’s it! The cool thing about this cleanser is that even though it is mostly oil, it DOES NOT leave your face oily. I know, counter-intuitive, but I’ve tried it myself and it works! Get the recipe by clicking on the picture or here. *Note: Safflower oil and olive oil are interchangeable thinning oils. If you have dryer skin, you may want to consider using more castor oil and less of your thinning oil. This easy peasy air freshener takes literally 5 minutes to put together, consists of just 2 ingredients (no chemicals found here!) and is way cheaper than buying air freshener after air freshener from the store. I used a lemongrass oil because it smelled really nice! You could use any of your favorite scents here or mix and match! Get the recipe by clicking on the picture or here. I didn’t realize how important a body scrub was until just recently. I actually bought some months ago to use before I tried out a self tanner I bought. Since then, I’ve stopped using the self tanner but have kept up with the body scrub. It really make my skin feel amazingly soft by getting rid of dirt and dead skin. This recipe is just 4 ingredients and takes just a few minutes to put together. I used eucalyptus oil because it is an anti-inflammatory, deodorizer and antibacterial, along with a bunch of other wonderful benefits. Plus, it smells so good and is relaxing! Get the recipe by clicking on the picture or here. Last but definitely not least are these fun fizzy bath bombs! Using lavender essential oil creates a relaxing bath. Honestly, you could skip the bath bombs and just put a few drops of the oil in the tub, but it wouldn’t be as fun! With just 6 ingredients, these are a chemical free and easy DIY to have for yourself or as a gift! It’s also a fun activity to do with kids. Add some food coloring, as I did with the ones pictured above, for a fun surprise when you drop them in the water. Get the recipe by clicking on the picture or here. *Note: Food coloring shouldn’t stain most tubs, but test to be sure. Bath bombs above have red and blue coloring added to them, even though they look a tan color. I also added lemon zest for a little something extra. For all the above recipes, I used an assorted box of essential oils that I bought here. This box has enough oil to make all of the recipes above and more. For an extra savings, use containers you have around the house! This could be an empty candle jar, empty glass jars from food items or old make up containers. Get creative! I bought all the container above, including the glass bowl that the bath bombs are in, at my local dollar store. The spray bottle is from Hobby Lobby. What uses for essential oils do you have? Share below! Like what you see? Get more! 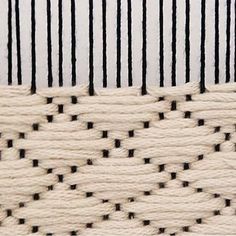 The coolest black and white weaving!The coolest black and white weaving! I did an artist trade with the very talented Julie of @little_loom (I'll share the lovely macrame she made when I get it ). 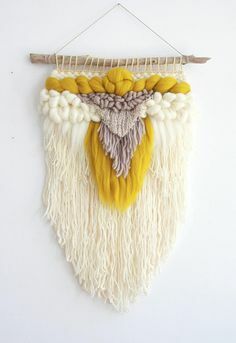 Anyway this is what I wove for her, I didn't want to share until she got it, because I really like surprising people , is anyone else like that too?I did an artist trade with the very talented Julie of @little_loom (I'll share the lovely macrame she made when I get it ). Anyway this is what I wove for her, I didn't want to share until she got it, because I really like surprising people , is anyone else like that too?